14. 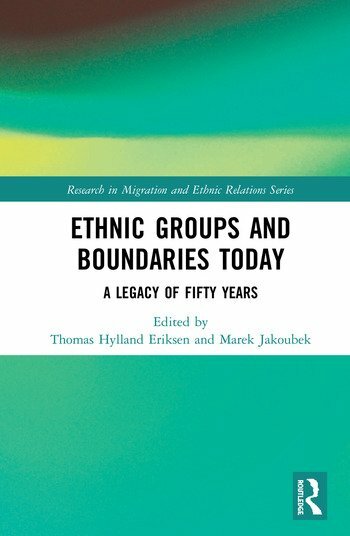 Marek Jakoubek: A "Hollow" Legacy of Ethnic Groups and Boundaries: A critique of the reading and quoting "Barth 1969"
Thomas Hylland Eriksen is Professor of Social Anthropology at the University of Oslo, Norway. He has conducted research on the politics of identity for over three decades, and among his publications in the field are Us and Them in Modern Societies, Ethnicity and Nationalism: Anthropological Perspectives and Globalization: The Key Concepts, Paradoxes of Cultural Recognition and Fredrik Barth: An Intellectual Biography. Marek Jakoubek is the Head of the Department of Ethnology at Charles University, Prague. His professional interests are in the theory of ethnicity and epistemology of social anthropology. He has conducted fieldwork in Voyvodovo, the former Czech village in Bulgaria, and in Roma settlements in eastern Slovakia.